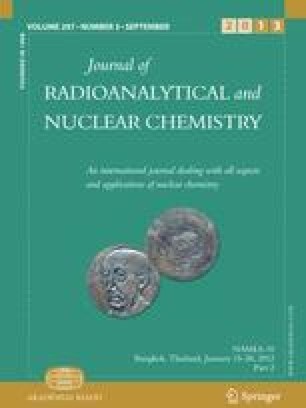 A simple technique using a combination of cation exchange and solid phase extraction chromatographic resins has been developed for the separation of99Tc from other radionuclides present in nuclear fuel leachates. Quantification of the isolated99Tc is accomplished using liquid scintillation counting. The method provides consistently high recoveries (>96%), generates small amounts of waste compared to classical methods, and requires less analysis time.